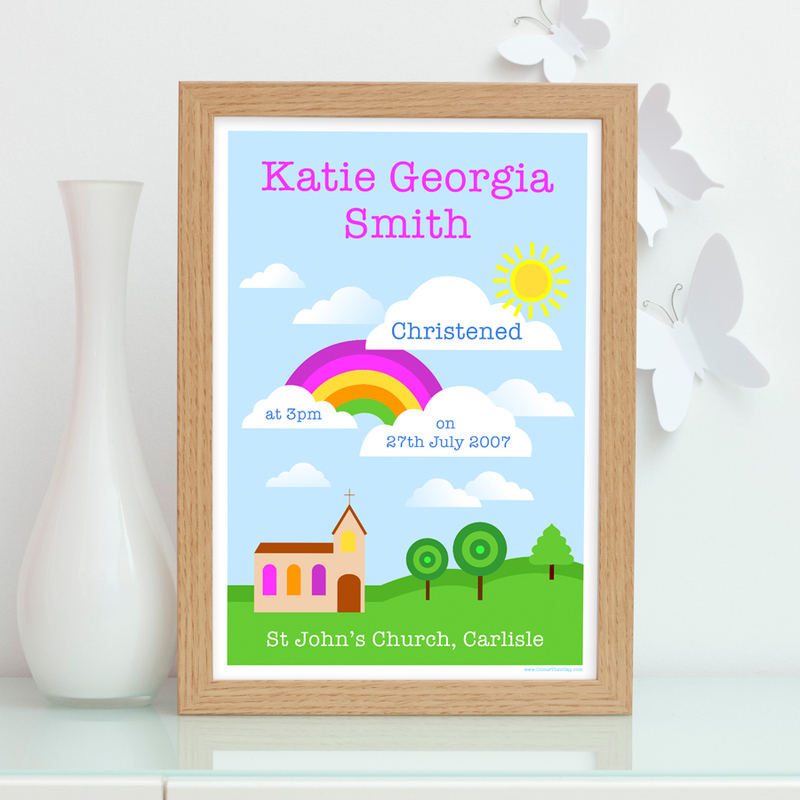 Make someones christening a day to be remembered with this gorgeous personalised christening print. This is a perfect gift or a keepsake for your own child, making sure they never forget such a significant day. The design features a church with a colourful landscape of hills, trees, clouds, sun and rainbow. Inspired by how lovely the world feels whilst celebrating this special event with friends and family. Personalised with full name, christening date and time, church and town or city. It is suitable for a girl or a boy, with pink or orange text for the name. The print is available in A4 unframed, A4 framed and A3 unframed. Be the first to review “Lovely World Personalised A4 / A3 Christening Print” Click here to cancel reply.